Two of my big loves, Deadpool and Pinball, have finally been brought together! 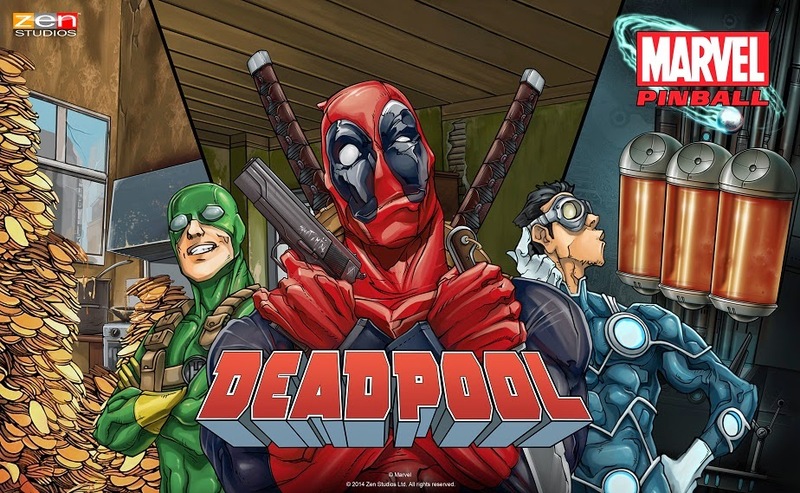 Zen Studios, the people behind the best fake pinball tables (including the other great Marvel Pinball tables), have released Marvel Pinball: Deadpool on Steam, Xbox Live, PSN, Android, Amazon, and iOS. Now to dream the (seemingly) impossible dream of waiting for this table on the Wii U and 3DS. Yes, I will buy it on Steam as soon as I can, but dammit, I want it on my Nintendo systems!